FOXES: We grew up camping and exploring Canada’s western provinces, carrying a deep appreciation for what these lands have to offer. 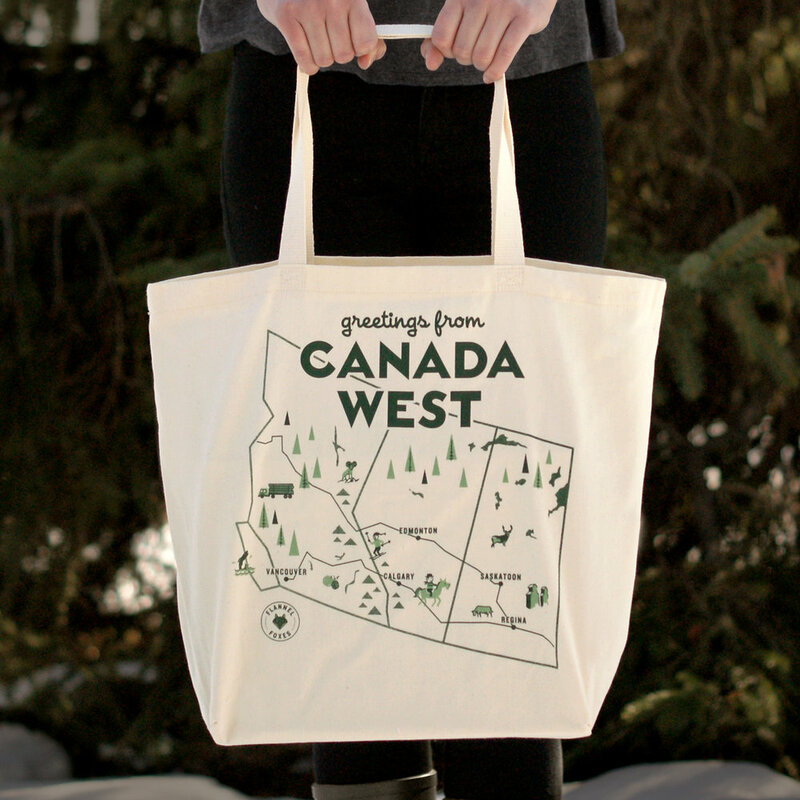 We aspire to make clothes that share the best of Canada West. It's also another design creative for Mike and Brit, in a less structured environment than the world of advertising or barbering. 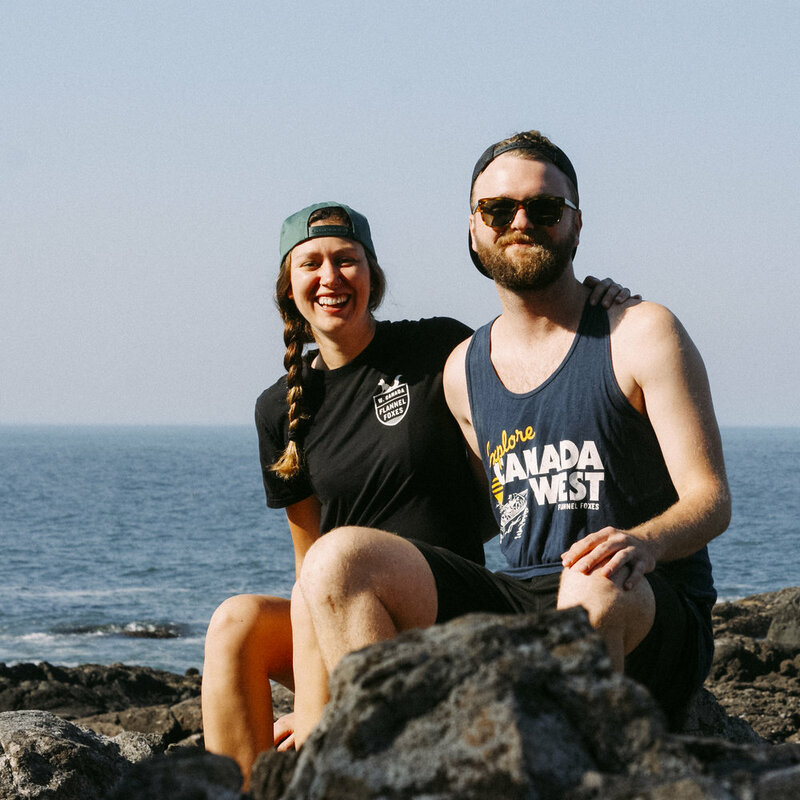 FOXES: We have a variety of new hats, shirts, and pennants coming out in time for Royal Bison, all inspired by the theme of the Western Canadian road trip. FOXES: We're focusing on the theme of road trips this summer. It's the inspiration behind the graphics on our new hats and shirts. We plan to take a few road trips, so we'll also be sharing the best places to visit through social media and our website. 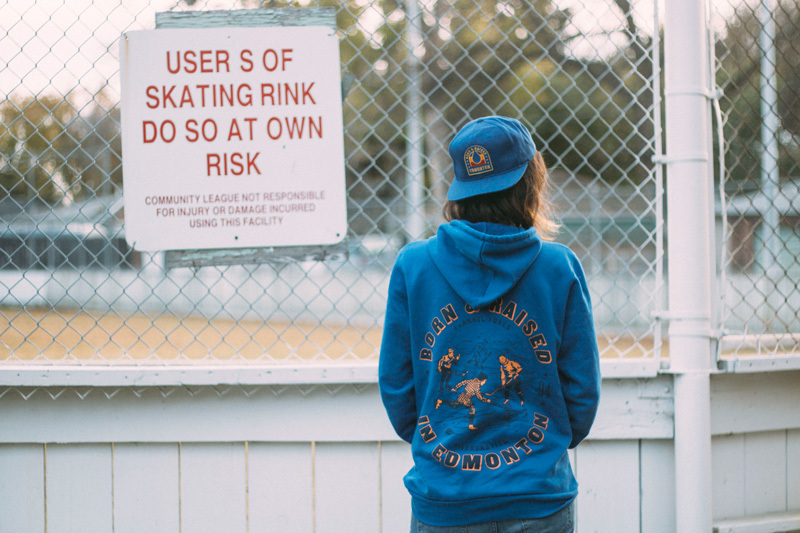 This summer we have a variety of collaborations, parties, and pop-ups planned, so stay tuned! FOXES: Mountains & Monsters. Hamburger Hands. Adrian Martinus. FF: Edmonton is a truly unique city with an amazing community of people who love to support local business. We're so lucky to be from here and to have been able to meet some fantastic people through this work. 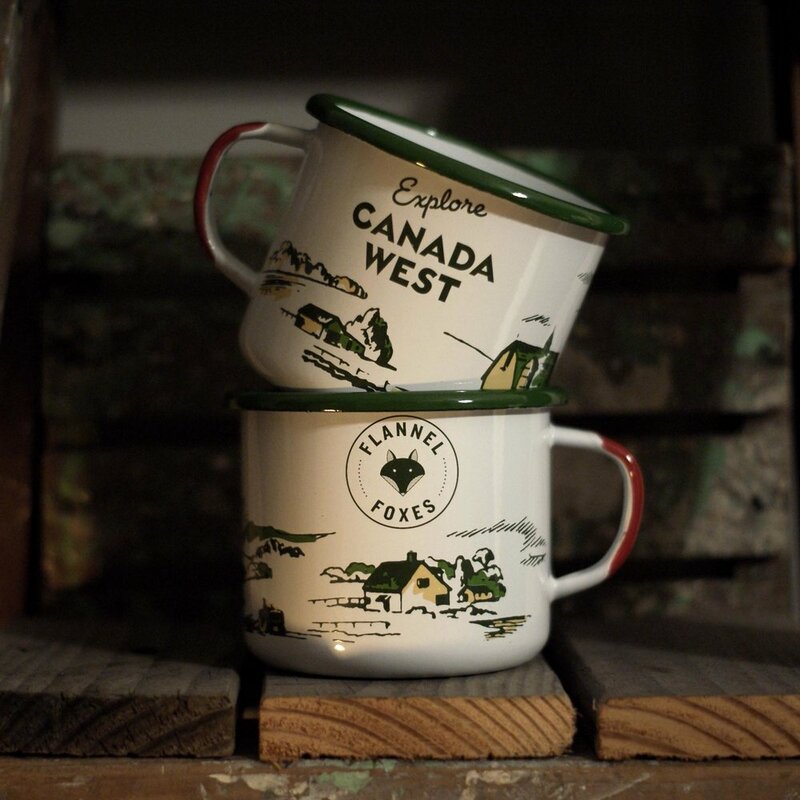 FF: Flannel Foxes is a nostalgic brand, we love looking back at our parents & grandparents memorabilia to get an idea of what Canada meant to them growing up. We're also big fans of the Rocky Mountain Antique Mall. FF: All of us own Monster friends from Mountains & Monsters. We can't get enough ugly cuteness!